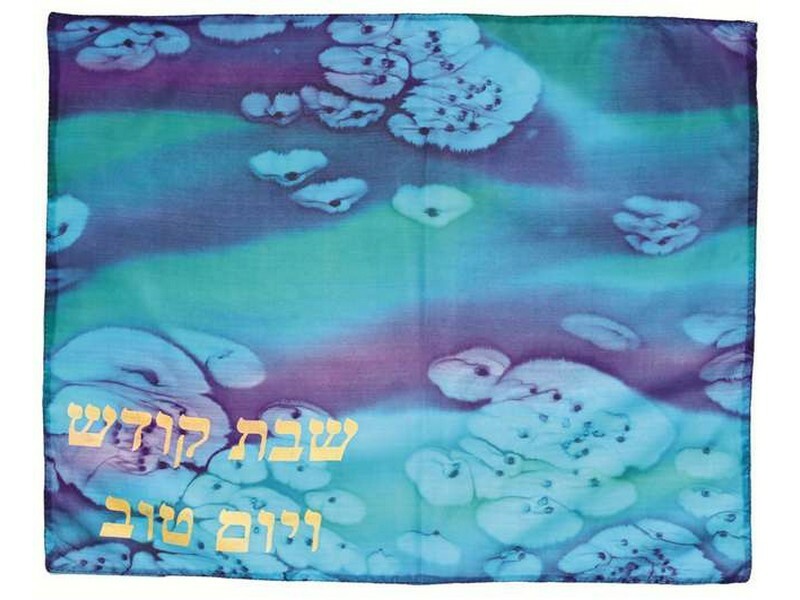 This unique and pastel colored challah cover will liven up and enhance any Shabbat table. The challah cover is designed with green and purple pastel colors, with the colors bleeding into one another. The Hebrew words “Shabbat Kodesh v’Yom Tov”, “Holy Shabbat and Yom Tov”, written on the bottom left hand corner area.